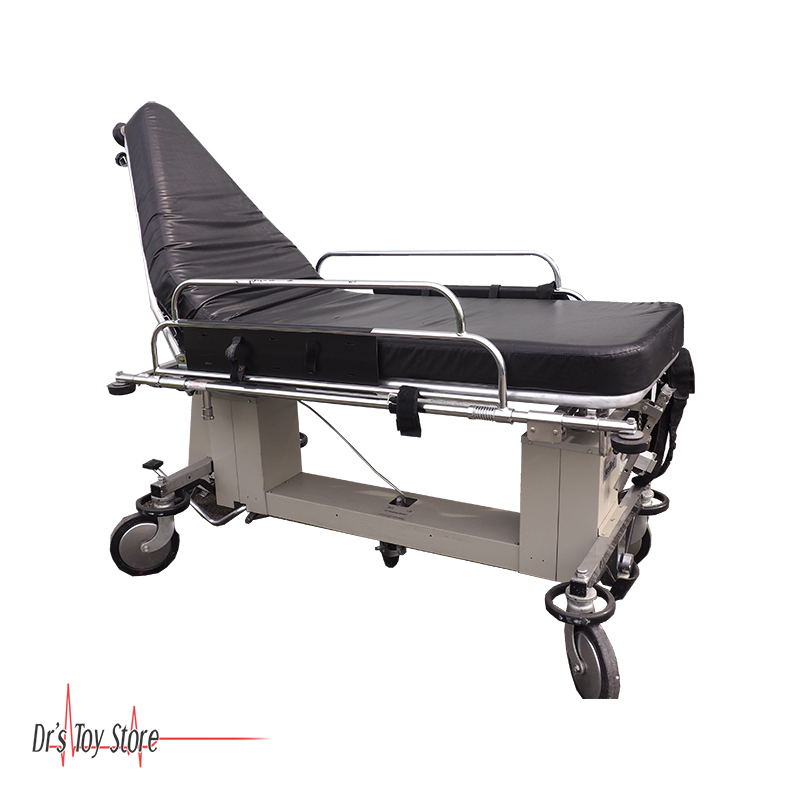 Introducing the Stryker Surgibed 962 Stretcher. 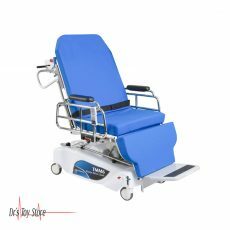 Stretcher on wheels w/ brakes + 5th wheel for optimum steering. One pedal is for height increase and two pedals for height decrease on opposite ends. The Stryker Surgibed 962 Stretcher Pad provides ideal support and comfort by utilizes Gel Polymer Technology (GPT™) in the top layer of the stretcher pad. The breathable open cell visco memory foam helps to regulate temperature and keeps the patient cool. 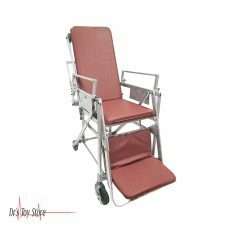 Unparalleled support and stability is achieved by combining three layers of high density, high resilient, medical grade urethane foam. 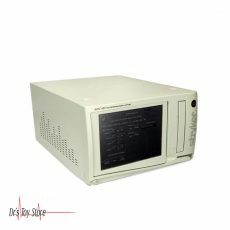 Middle layer foam further helps to redistribute pressure while the firm base adds support. 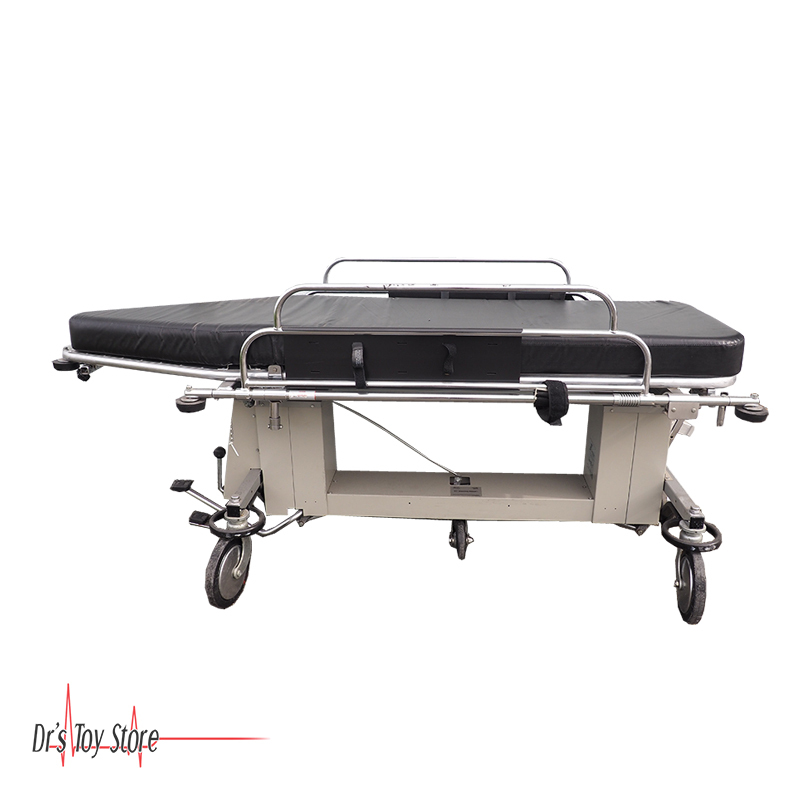 The durable yet breathable stretch cover reduces shear and friction for easy patient transfers. The non-skid bottom includes velcro straps that ensure the pad will always stay securely in place. 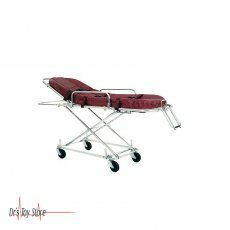 Pads can be customized to fit any stretcher or gurney. Fluid Protection Zipper Guard (FPZG™) protects against fluid contamination. 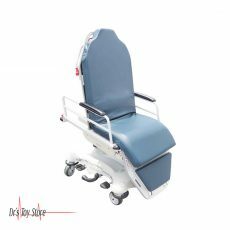 Designed for patient comfort and clinical efficiency. 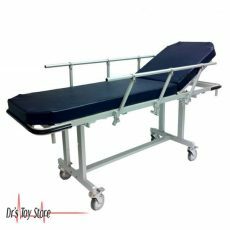 What’s the difference between a gurney and a stretcher? 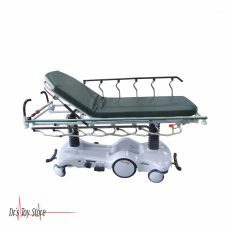 A stretcher, litter, or pram is an apparatus used for moving patients who require medical care. A basic type (cot or litter) must be carried by two or more people. 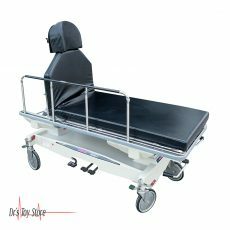 A wheeled stretcher (known as a gurney, trolley, bed or cart) is often equipped with variable height frames, wheels, tracks, or skids. In American English, a wheeled stretcher is referred to as a gurney. 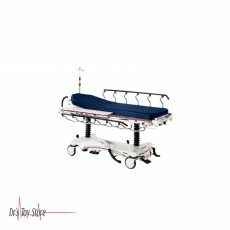 Stretchers are primarily used in acute out-of-hospital care situations by emergency medical services (EMS), military, and search and rescue personnel. In medical forensics the right arm of a corpse is left hanging off the stretcher to let paramedics know it is not a wounded patient.